OKEX is a world leading digital asset exchange based in Malta. The company provides hundreds of token trading pairs as well as derivatives, serves millions of users in over 100 countries, and handles nearly $1.5B of daily trading volume. We had to chance to interview Tim Byun, OKEX’s Chief Risk Officer. We discussed what got Tim interested in Bitcoin, the companies’ recent relocation from Belize to Malta, and why Tim believes, from features and regulatory standpoint, OKEX stands out from other exchanges. In the interview, Tim talks about his unique role in OKEX, how he heard about Bitcoin the first time, the $460 million controversy that made Star Xu, OKEX founder, put his own money and lastly – talks about the rumors about Xu’s arrest (scroll down to see if it was true or false). 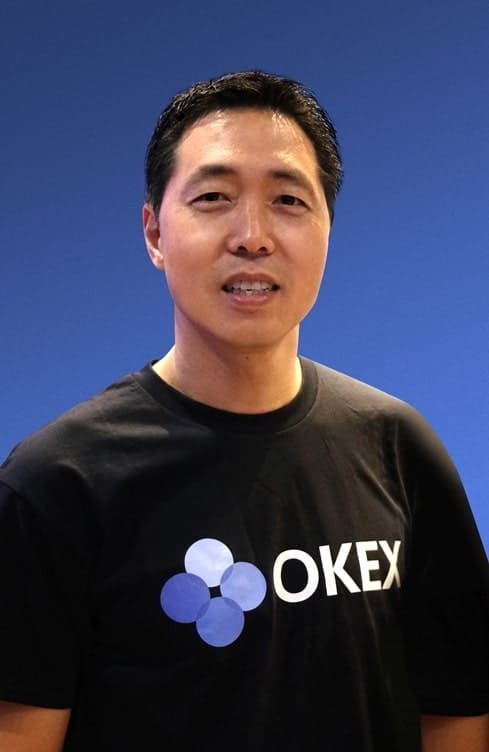 How would you describe your role as the CRO of OKEX? What are your primary responsibilities? As the Chief Risk Officer and head of government relations for OKEX, My primary role is to ensure that we are abiding by rules and regulations. For OKEX, which is our token-to-token only platform, it’s exciting because different countries have different rules for token-to-token only platforms. This is separate and distinct from our other business line which is called OKCoin and is a FIAT to token platform. As OKEX’s CRO, I have the great opportunity to come to Malta to meet with the legislature, regulators, politicians and the Prime Minister, to hear their vision of the rules. What initially got you interested in cryptocurrencies and the trading investing side of the market? Bitcoin,” and everybody laughed. I said, “Why would you be interested in Bitcoin?” As the AML officer of Visa, I heard all the sad stories about it, such as the Dark web and Mt. Gox. I said, “Why are you wasting your time?” to which he responded, “Tim, with your Federal Reserve payment system background and your background in Visa, you need to learn the technology.” So, one night he sent me one Bitcoin, and that one Bitcoin came immediately from his phone straight to my phone, and I said, “Wow, this is an amazing technology,” because back then, even if we were both using Bank of America, it wouldn’t happen on Saturday. It would happen on Monday when the banks open, and the server’s kick in and reconcile. Where was the server? Who reconciled this? Who told my friend he no longer has one? Who said to me that I have one Bitcoin? That is the power of Bitcoin that makes it so fascinating. So, that’s when I decided to study and learn about the technology. One thing led to the other; I connected with the guys at Bitpay where were very smart and innovated. Then I ended up joining the company in June 2014. What benefits do you see being brought to the crypto space by providing margin and leverage trading? Do you see any possible downsides? It’s a high-powered product, right? So that’s all it is. Leverage, margin, it just makes them more powerful and faster, but as you’ve already hinted, it could work against you. You bet long, but the market turns around and goes short, you’re out faster. So, you make money faster; you lose money faster, that’s all it is. Whether it’s in the stock market, same thing, same question for Merrill Lynch and Schwab, but margins, leverage, it just makes it a little more powerful, but you have to be aware of what you can and cannot do. For those who are still unclear about the controversy that happened in August regarding the $460 million liquidity position, would you explain what happened and how the socialized loss risk management mechanism was put in place to resolve the issue? Absolutely, and we have, but just a quick recap: A customer of OKEx managed to accumulate a huge long position on BTC quarterly contracts. The position worth over $400Mil was force-liquidated due to unfavored market direction. And due to its sheer size of the order, the order cannot be filled by the market and the said uncovered position (about $9m) triggered OKEx’s societal loss risk management mechanism. Futures is a zero-game game: whoever loss means its counterparties are making an equal amount of profit. So in such case, the losing side was unable to fulfill its obligation to deliver the deemed ‘profit’ to the winning side due to a shortfall on margin. OKEx would then step in and take a portion of profit – in equal percentage – from winning trader to cover shortfall between the liquidated price and settled price. We called this arrangement as a clawback. This system, which has been in place since OKEx was founded, is one of core risk management component of OKEx Futures to handle the systematic risk of the market. And due to its transparent nature, clients of OKEx do not need to worry about the solvency of OKEx due to any uncovered losses triggered by sheer liquidation. It was still an unfortunate event. And we understand the frustration from some sophisticated clients who were running an arbitrage strategy. That’s why we decided to donate 2500 BTC into insurance fund so to cover a portion uncovered loss. We wanted to show our commitment to maintaining a fair and orderly market. Is there anything OKEX would do better next time to manage the risk of such an incident? We fully understand the cause of such a risk event, and we implemented a series of risk management enhancement. Immediately, we imposed a risk limit on large positions. Subsequently, we would achieve mark price which essentially means the position would NOT be liquidated at last trade price – which is easily be affected in time of the flash crash – but taking into consideration of a batch of numeric parameters. Lastly, we would implement a tiered margin system which means the bigger of the holding positions; more margins would be required. Based on our assessment, the occurrence of societal loss would be substantially reduced. What are your thoughts on Coinbase developing a crypto index for retail investors, as well as custodial services and partnerships with Blackrock to launch a possible ETF? Do you see OKEX replicating these developments shortly? We welcome on exchange-like Coinbase developing a crypto-index. We believe it is a helpful feature for a new retail investor who would like to have an overall exposure of crypto. OKEx shared the similar vision, but instead, we would want to cooperate with 3-rd party index partners who would like to create their own-engineered index on OKEx. We think of ourselves as an open platform rather than an index construction services provider. Regarding crypto-custodian and Bitcoin ETF, I think everyone is working on a different approach in solving the crux of crypto-industry – bridging the traditional finance and blockchain. We are now managing billions worth of client’s digital assets, and our wallet is now supporting hundreds of different type of tokens. So OKEx essentially is a custodian right now with perfect security record. We might consider launching our custodian services. And we might not just target institutional but to everyone. And we might not only support major tokens but all kind of blockchain assets in the world. How does OKEX deal with the regulatory issues surrounding the US market? Does your exchange plan to have a growing presence in the US? Or are you waiting for further clarity on regulations? People forget that the US regulatory market has been around for a long time. In March 2013, the US Treasury and FinCEN Department came out with some obvious convertible virtual currency guidelines. We don’t serve the US, because there is a set of regulations that we need to comply with first before serving the US, even as a foreign entity, a Maltese entity, or a Hong Kong entity. It does not matter for the US. The US regulators have written their rules very clearly, that even if you’re a foreign company targeting the US market, you must register with FinCEN. You must comply with US law. That’s their rules, and I think people must respect that. It is a huge market. So, what we are doing though, is using OKCoin. OKCoin USA Inc. is our US entry to serve the US markets, It’s also fiat to crypto. That’s what we’re starting with, and we have an excellent team. We now have 18 colleagues in OKCoin USA Inc. in San Francisco, and that’s what we’re going to build upon, and do it right for the US market. As the CRO, what are some critical areas of research you explore to improve how OKEX functions as an exchange? I like to look at more of the ecosystem community groups and self-regulatory organizations (SROs). I think the old, tried and trusted association like Coin Center, is an excellent nonprofit. They do some serious, great in-depth research that is available on their website. I think that’s probably what I would consider the premier thought leader and they not only look after a right balance of what the regulators are concerned about, but also what the ecosystem is worried about, and you need both for a sustainable product offering, including exchanges. The debate about decentralized and centralized exchanges has grown in recent months. What are your thoughts on the pros and cons of each and which do you think will play a more dominant role in crypto over the next ten years? I think both centralized and decentralized exchanges will probably be around in 10 years. That’s our fundamental service. I don’t know what their numbers or their market share is going to be. I think both can grow in parallel. It’s not like one’s going to replace the other. I don’t think that way. I know there are a lot of smart people working on both sides. I think it’s because as an exchange, we need to serve the customer. Does the customer want plastic credit cards or plastic debit cards? We have to serve the customer as we are in the exchange business. We are obviously looking at a decentralized exchange technology, market share, and volume and that’s the business we’re in. I would want to close by saying thank you for this opportunity. You have a great source and many readers. I want to emphasize that with cryptocurrencies, and you hinted on this, I don’t know what’s going to happen tomorrow. Prices can go up or down significantly within 24 hours. We’re in it for the long-term, and so people must understand the risks. This is not a US treasury bond. Publications like yours and other media outlets are bringing value. So, I just want to say that customers need to be aware, and I think they do a good job of discerning. Also, if anyone has a situation or customer service problem or anything with us, please reach out. We spend a lot of money on 24/7 customer service now. I think that’s what makes us different. We’re also available through the traditional means to serve you. Was Star Xu, OKEX founder, arrested? Lastly, regarding the recent allegations that our Founder, Star Xu was arrested, that is fake news. What is impressive these days is that there is minute-to-minute coverage about events in the crypto space. So when I saw the pictures that were released, I could immediately and see that Star was on the other side of the counter filing a police report due to some overzealous customers harassing him. Unfortunately, the stories misrepresented the events to make it look as though he was being arrested, which is false.